Today's project is one from Stampin' Up! HQ and has been made with the stamp set Balloon Celebration and the co-ordinating Balloon Bouquet Punch. You can create a bounty of looks with this duo - perfect for birthdays, organising get togethers and much more. 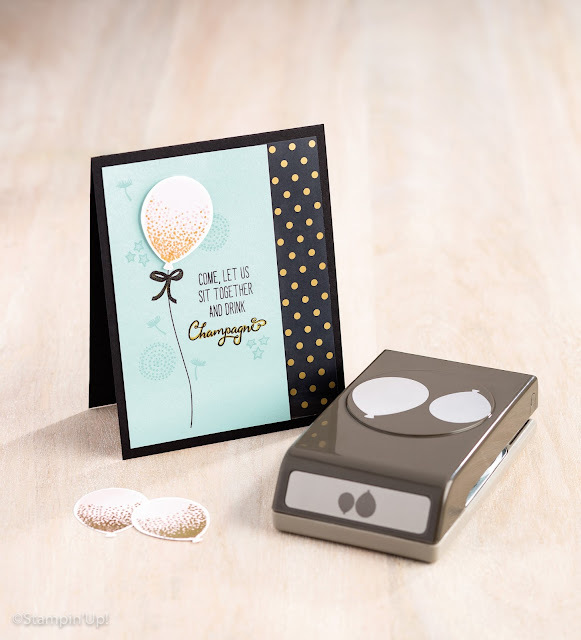 Our punches are strong and robust and this stamp set comes in Photopolymer for perfect placement. Please let me know if you need any help choosing Stampin' Up! products, I can advise you and answer any questions you may have.